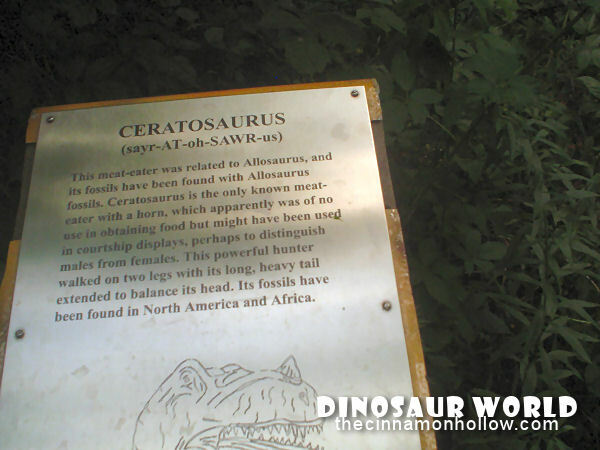 Disclosure: This post was written by me on behalf of Us Family Guide and Dinosaur World in Cave City, KY. All opinions are my own. I will receive complimentary attraction tickets as a thank you for posting the current special. 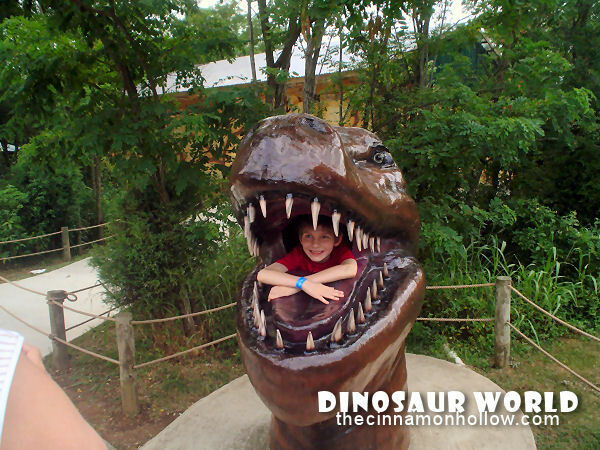 Back several years ago, my family and I visited Dinosaur World in Cave City, KY. We had originally gone to the area on our first ever family vacation with our kids to visit Guntown Mountain. 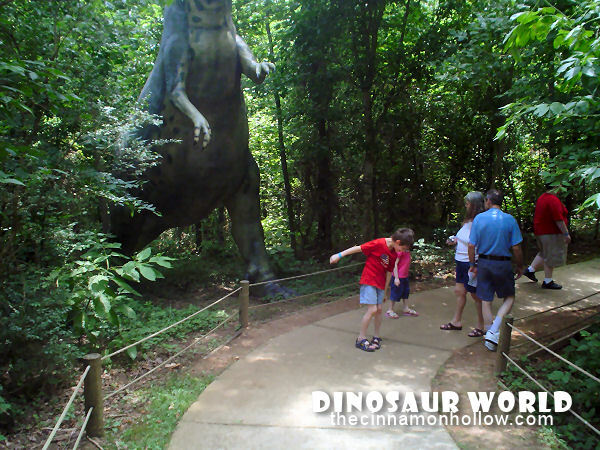 We didn’t know about Dinosaur World but after seeing the signs, our son begged us to go. He loved Dinosaur. So we decided to see what it was all about. Dinosaur World is a walking trek that makes a 360° loop. On this loop you see 150 life size dinosaurs. It was really hot that day, in the 90’s. So temperature wise it was a bit miserable. But the attraction itself was a lot of fun! There are several life sized dinosaur displays. 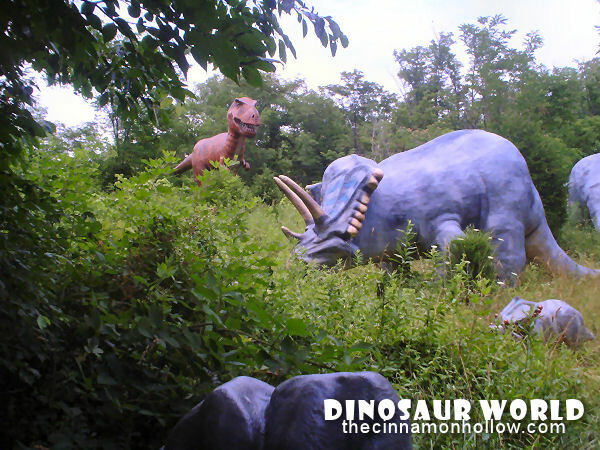 Dinosaur World is Kentucky’s only attraction dedicated to the giants of years past. With over 20-acres to explore, we can help you tame the pitter-patter of little dinosaur feet. Visit the all new Dino Gem Excavation and pan for real minerals and gems! Check out the Fossil Dig and Boneyard, and then head over to the playground before setting out along the walkways to explore the natural landscape and dino exhibits. There is even a giant T-Rex to greet you when you arrive as well as a dino-head that you can climb inside for picture taking. The kids LOVED all the dinosaurs. Now, it has been many years since we were there but I looked online and Dinosaur World is still open. So I thought it would be a great place to tell you about. We went during the summer and just about died from a heat stroke. It was over 90 degrees that day. So, since it is outdoors, I definitely recommend going either in the fall or just on a much cooler day, although it is open year round except Christmas Day and Thanksgiving Day. So go when you like to get out and walk. 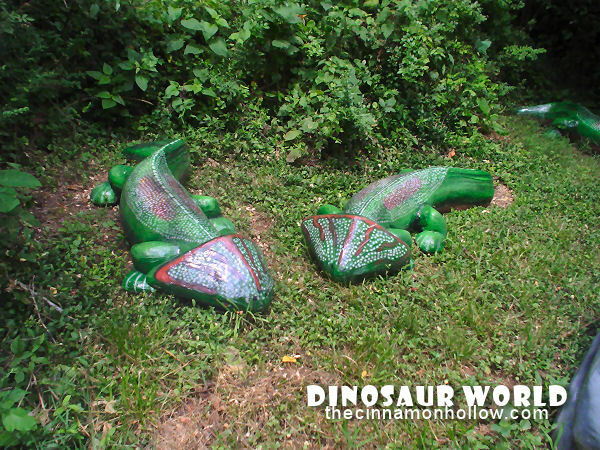 Just imagine walking up on these lizards lying in the grass! I sure wouldn’t want to. Some of the dinosaurs are off the beaten path and you can view them from a distance, as if they were out grazing. While others are right next to the walkway and you feel like you want to run to save yourself from these giant predators. As you walk around the corners it feels as though some sneak up on you! There is also an area where you can participate in a Fossil Dig. 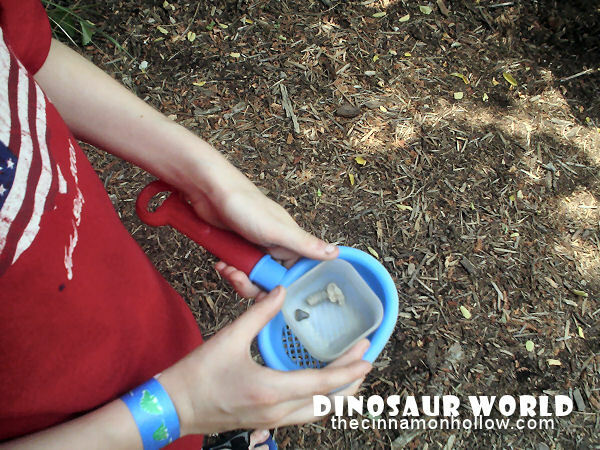 Kids ages 3-12 can sift through sand in a paleontological setting in search of authentic fossils. Your kids can keep 3 fossils as a memento of their trip. Fossil Dig tickets are included in the child admission price for ages 3-12. Anyone over 12 or under 3 who wants to dig, the price is $2. Find everything from Shark teeth to Sea urchins, dinosaur bone fragments and more. They have over 10 types of authentic fossils in the Fossil Dig. Purchase a year pass to Dinosaur World and enjoy 365 days of prehistoric fun! Active duty U.S. military personnel receive FREE ADMISSION to Dinosaur World with an active military ID shown at time of ticket purchase. Dependents will also receive $1 off admission with dependent military ID. They do NOT offer concessions but there is a drink machine. You can also bring your own picnic basket and sit at one of the picnic tables. When we were there, there was a family having a birthday party and they had brought a cake and decorations. There are special prices if you want to call to reserve it for a birthday but you do need to supply your own cakes and snacks. I believe you receive goody bags for your guests though, which is pretty cool. 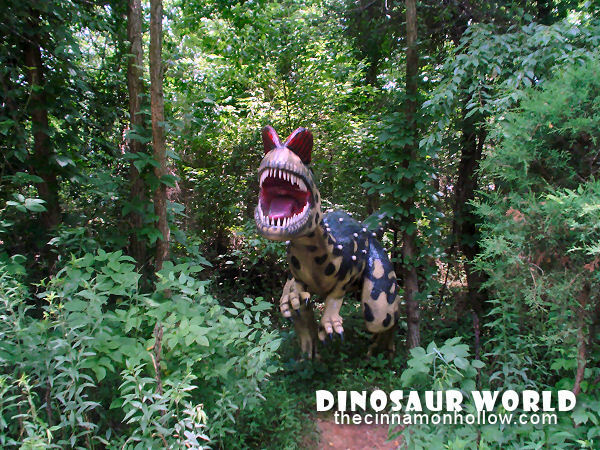 Dinosaur World Kentucky is located on Interstate 65, Exit 53 in Cave City. Just 10 miles from Mammoth Cave National Park and they also have locations in Plant City, Florida and Glen Rose, TX.